What room or area is more important than your lobby? These days, corporations are using signs and graphics in their lobbies to not just promote corporate culture, but to tell a story. 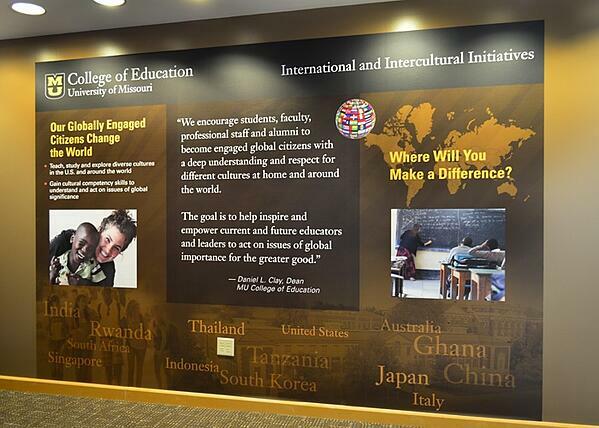 This is being achieved by wall murals, graphics, acrylic displays and dimensional letters. 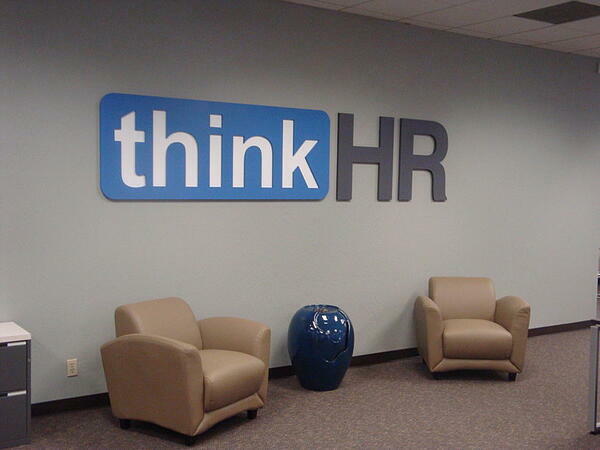 Dimensional letters are a fantastic way to display your company's ideals. 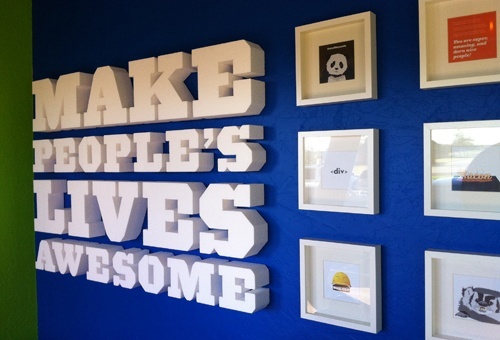 The example above encourages employees to "make people's lives awesome." It also allows your clients know your company values are to make them important and essential. Letters come in many materials including foam, PVC, acrylic and various metals and can be designed to match corporate fonts. 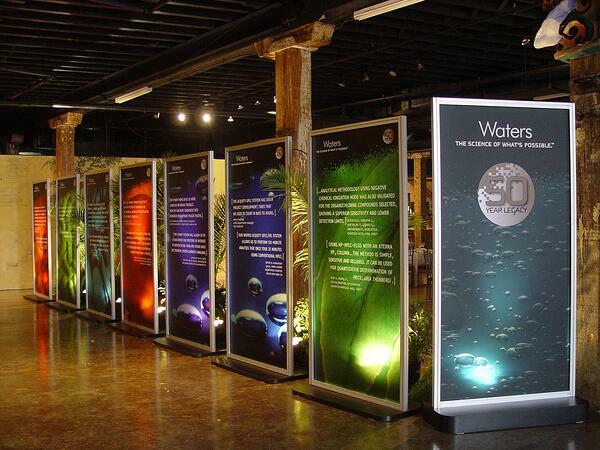 Wallboards can be posters or vinyl graphics printed and applied directly to the wall or on a board. Use these signs and graphics in your lobby to convey a timeline, how your business makes a difference to those it serves, or how far your company's global reach is. Framed posters or panels can be shown as a swinging storyboard or in a side-by-side fashion. Using high-quality digital printers, the imagery these graphics display become vibrant messages about your corporation and what it stands for. Or, place these on walls using metal or acrylic stand-offs. Very often the graphics you use in your lobby are direct and to the point. Such as in the example above. A client clearly knows human resources is what your business is all about. As far as your employees go, they know when they head to the lobby the customer knows what you do along with your corporate strength--HR. Perhaps your business is about creating eco-friendly products or finding ways for communities to benefit from water reclamation. May you're all about saving rain forests and the animals that live there. 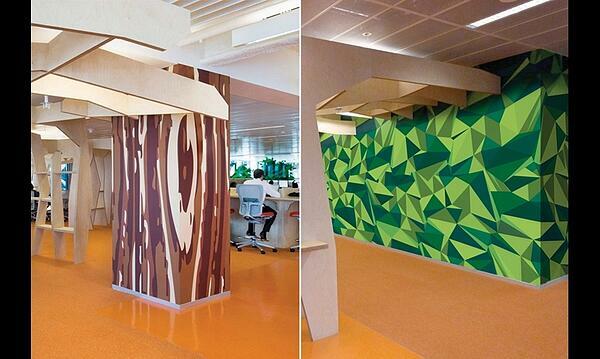 Using wall murals as seen above require no words but simple graphics. Viewers are not only drawn to these graphics, your employees are also motivated to continue the work your corporation holds so dear. These are just a few ways you can use graphics and signs in your lobby to display your corporate culture. Options for showing visions, missions, ideals, and goals are literally endless. Ready to make your lobby stand out above anyone else in your industry?